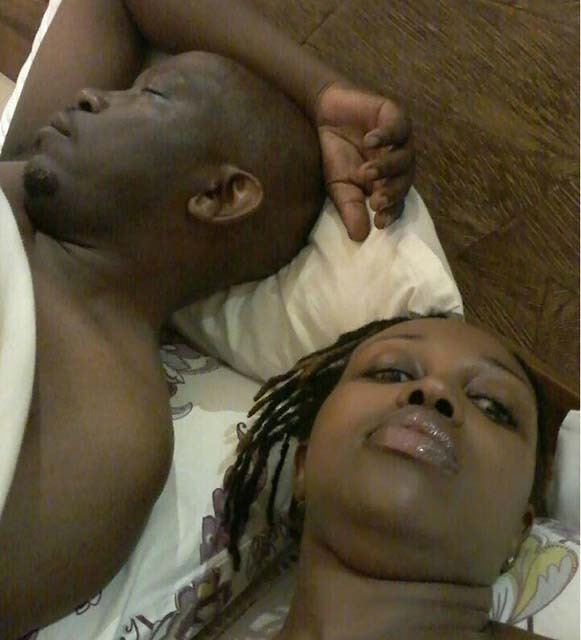 A Kenya Airways hostess apparently slept with her pilot boyfriend and we have the evidence. It seems as if Kenya Airways hostesses are some of the most s3xually thirsty female workers at the company. Most of them have been exposed of luring rich customers and even tourists to sleep with them in exchange for money. This recent expose is of a KQ hostess who happens to be having a secret affair with a top pilot. They got drunk, had s3x and took photos while nak3d. She accidentally posted the photos on her Facebook account after which they were leaked on Telegram.